Health and Life Sciences Law Daily is sent exclusively to members of the American Health Lawyers Association (AHLA). AHLA is the nation’s largest, nonpartisan, 501(c)(3) educational organization devoted to legal issues in the health care field. 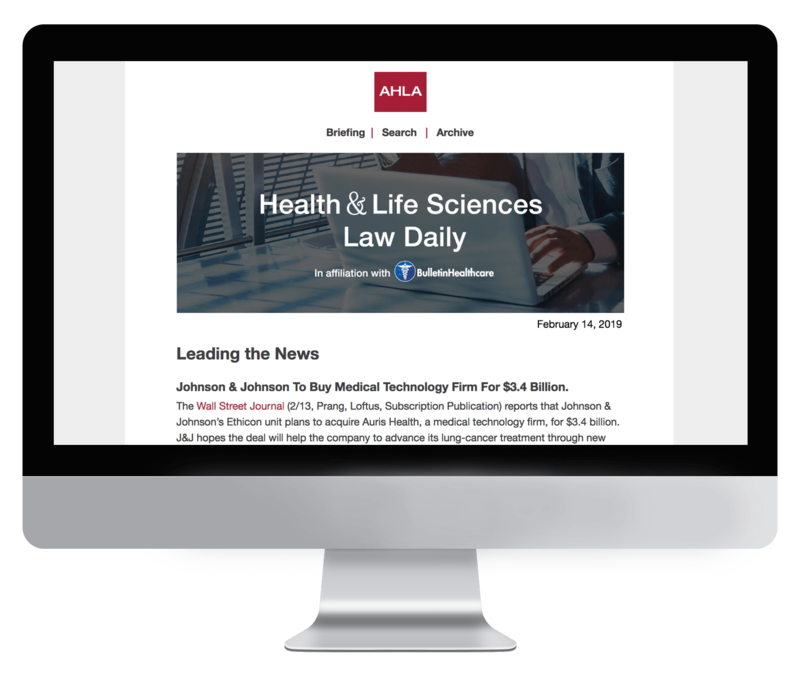 Subscription to Health and Life Sciences Law Daily is exclusively limited to AHLA members. If you are a member of AHLA and would like to receive this briefing, please reach out to the association directly.